1. Will LoadCentral issue or sell a Retailer SIM? No. 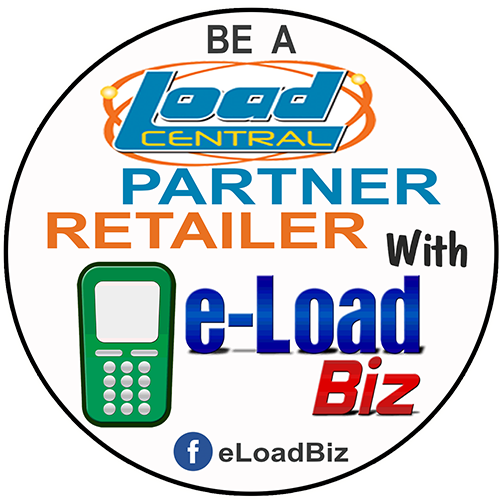 Any mobile number (Smart, Talk N' Text, Globe, Touch Mobile, Sun, Red Mobile) can be registered as a LoadCentral retailer number. 2. How can I start selling the LoadCentral way? First you need to be registered as Retailer. You can register here for free. Just fill up the activation form here, then send at least 1 valid ID (scanned or digital copy) to eloadbiz_lei@yahoo.com.ph. After your # has been successfully activated, you can now buy loadwallet. 3. How can I replenish my account? You can replenish your loadwallet either by purchasing from dealer hannah88 or by directly buying from Loadcentral. 4. Can the same retailer number be registered to two or more dealers? 5. How will I know of new products carried by LoadCentral? Thru Loadcentral website (www.loadcentral.com.ph), via Webtool Crawler, IM Broadcast, e-Mail from LoadCentral and by SMS. You can also check updates on the dealer’s website: www.e-loadbiz.com. Get automatic updates by subscribing to RSS feeds, following us on Twitter or be a Fan on Facebook. 6. How will I know about the discounts carried by LoadCentral? 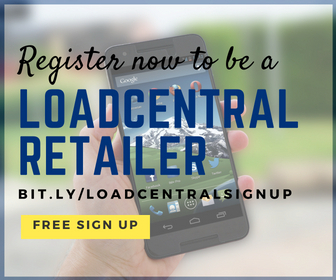 Your LoadCentral dealer will give you a copy of the Retailer Discount Structure. You can also download the latest discount structure here. 7. What happens if I forgot my password? You should ask your Dealer to request from Uniwiz Trade Sales Inc. for the resetting of your password. Uniwiz will not entertain direct request from you. 8. What happens if my retailer SIM and/or mobile phone are lost or stolen? What happens to my remaining wallet load? You must immediately notify your dealer so he/she can deactivate or block your mobile number. You must then ask your dealer to register another mobile number as your new retailer SIM. Your dealer will then inform LoadCentral by a written notice (fax or email) and request that the remaining balance in your old registered number be transferred to your new one. 9. How can I get a transaction report? You can generate your own sales transaction report thru the LoadCentral webtool. 10. What are the LoadCentral Access Numbers (LCANs)? Please see Loadcentral Access numbers here. 11. What to do if I receive a “Invalid password supplied” error when logging in to the webtool? Please make sure that you entered your 6-digit password which you assigned when you confirmed your registration. If it is your first time to use the log-in, use the default password. 12.What to do if I receive a “User XXXXX not found” error when logging in to the webtool? Please make sure that you used the 639xxxxxxxxx format of your mobile number for your webtool username. 13. What should I do if the buyer does not receive the product electronic PIN (E-PIN) with his mobile? You can use the resend function on the webtool. Please be aware that you can only resend the last transaction for your buyer’s mobile number. You can also report it to the subdealer or report it to Loadcentral Chat support (Google Talk: new.acct.lc@gmail.com ). When reporting a not received load/e-pin, please indicate your retailer ID, product, date & time and trace # of the transaction. 14. Can you restrict the IP address where I can access the webtool? Yes. Currently, all retailers are set to access the webtool from any IP Address. If you wish additional security access, the subdealer can restrict your access to the webtool from a particular IP Address. 15.What should I do if I receive a “Sale Transaction not successful. Service that dispenses product may be temporarily unavailable or incorrect Mobile Number Recipient. Please try again later.” error after trying to send an electronic load (ELoad) to a mobile number? Please make sure that the mobile number is compatible with the ELoad product you selected. Use Globe Amax for Globe numbers, Touch Mobile Amax for Touch Mobile numbers and Smart ELoad for Smart or Talk N’ Text Numbers.